At North River Home Care, we know that when it comes to Boston area senior home health care providers, you have many options. So why choose us? Excellence is our goal when it comes to serving you, and our telephony timekeeping system ensures that our caregivers arrive at each client’s home on time every time. 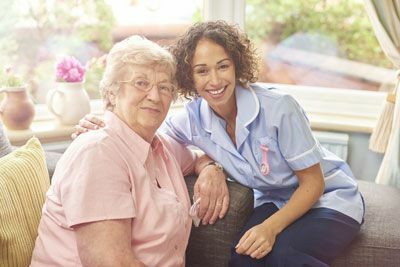 Ensuring that you have the care you need when you need it is part of the North River Home Care guarantee. If your caregiver is sick or otherwise unable to report for her shift, we provide backup caregivers with on-call aides who are ready to work, 24 hours a day, 7 days a week. Founded by caregivers in 2007 and now among the largest private duty agencies in Massachusetts, North River Home Care has served over 1,000 home care clients in eastern Massachusetts. We provide more management oversight on each case and more supervisory visits and check-ins than other senior home health care agencies, to ensure client safety and peace of mind for family members. Not just anyone can become a North River caregiver! All our applicants are tested in our office and must score at least 85% on the Massachusetts State Home Health Aide Competency Exam in order to interview with us. We strictly enforce company policies through frequent checks by field supervisors to ensure all caregivers are meeting and exceeding our high standards of care. Communication is a key aspect of the client/care team relationship. That’s why each client is assigned a dedicated client service manager to help maintain open communication regarding the client’s care plan and caregiver service. Family members can call their client service manager at any time with questions or to check in on the care plan. In addition, we offer an online Family Portal that allows family members to log in to a private website and check on the care notes. We utilize advanced technology called telephony to assure caregivers are on time. Our caregivers record their arrival and departure via a toll-free number from the client’s telephone. Utilizing caller id, the system recognizes the client’s phone number, and acts as a remote time clock. Should a caregiver fail to clock in on time, all members of management receive an immediate alert on their cell phones and react accordingly. We know that each client’s needs, likes, and dislikes are unique, which is why we create highly detailed care plans, customized to each client’s personal needs. As former family caregivers ourselves, we know how important quality senior home health care is for older adults and their families. The North River senior care team is dedicated to making a difference in the lives of our clients. Want to find out more about what makes us the premier home care agency in Boston and the surrounding area? Contact us today.